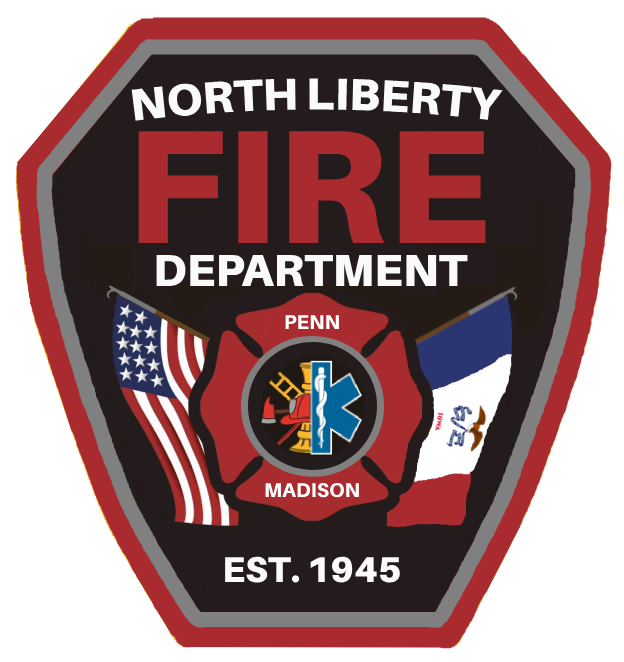 All open burning within the City of North Liberty shall be conducted in accordance with the City of North Liberty, Solid Waste Control Ordinance, Section 105.5 Open Burning Restriction and the 2009 International Fire Code. Burning of rubber tires, lumber, pallets, scrap wood, green wood, tree trimmings with leaves, leaves, yard waste, paper, cardboard, garbage and other refuse is not permitted. Portable fire pits and portable fireplaces shall be used in accordance with the manufacturer’s specifications and these regulations. Portable fire pits and portable fireplaces must have a screen and a cover to prevent flying embers. Portable fire pits and portable fireplaces shall not be located less than 15 feet away from any structures or combustible materials, or on any paved or surfaced street, alley, or sidewalk. Below ground fire pits shall be at least four inches in depth and shall be surrounded on the outside, above ground, by a noncombustible material such as steel, brick, or masonry. Below ground fire pits shall have a cover to prevent flying embers. Below ground fire pits shall not be located less than 25 feet away from any structures or combustible materials. 135.08 BURNING PROHIBITED. No person shall burn any trash, leaves, rubbish, or other combustible material in any curb and gutter or on any paved or surfaced street or alley. 136.14 FIRES OR FUEL ON SIDEWALKS. It is unlawful for a person to make a fire of any kind on any sidewalk or to place or allow any fuel to remain upon any sidewalk. 168.05 R-FB ZONES – RESIDENTIAL FACTORY-BUILT HOUSING PARK DISTRICTS (Golfview & Holiday Lodge Residence). Open Fires. No open fires or burning shall be permitted at any time or place within a factory-built home park, unless specifically authorized by the Council. If burning is authorized under certain circumstances, it shall be limited to containers that are carefully controlled and monitored, and will be allowed only during the daytime and when individuals are actually supervising the burning . Charcoal burning in a charcoal broiler or grill for the purpose of cooking food shall be allowed, provided there is adequate supervision. Johnson County residents outside the city limits are allowed to open burn as long as you follow Iowa DNR guidelines. State rules prohibit burning items that can be locally recycled. Common household trash such as synthetics, plastics, metals, and packaging release potent chemicals when burned. Even common paper products such as junk mail, cardboard, newsprint, and magazines contain chemical dyes, coatings, pigments and chlorine. Johnson County residents shall contact the Johnson County Joint Communication Center at 319-356-6800 prior to conducting open burning. Open burning is only allowed from Sunrise to Sunset. Burning household waste in your backyard is harmful to your health and the environment. These sites explains these problems and provides alternatives.